Dover, Del. (June 8, 2018) – The Award Winners XVIII reception and award ceremony will be held at the Biggs Museum of American Art, Dover on Wednesday, June 13 from 5:30–7:30 p.m. The event will feature special performances by three of the 2018 Individual Artist Fellows. Attendees can experience the work of all 17 artists in the Award Winners XVIII exhibit throughout the entire museum. The event is free and open to the public. Light refreshments will be served. The first part of the reception will feature music selections by Master Fellow in Music, Lloyd Shorter and a presentation by Joan Warburton-Phibbs, Established Fellow in Choreography, followed by the remarks and awards presentation. The second portion will end with a presentation of work by Emerging Fellow in Media Arts, Robert Waters. 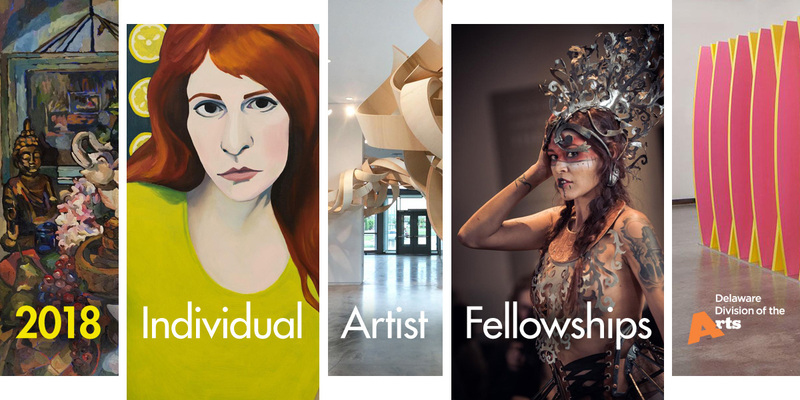 Each year, the Biggs Museum of American Art, in partnership with the Delaware Division of the Arts, exhibits the work of Delaware’s Individual Artist Fellows. The Award Winners XVIII exhibition on view now through July 22, recognizes the Fellows’ combined artistic accomplishments. “The contemporary pieces from Award Winners will be on view alongside materials and works from 1700-1850,” said Curator Ryan Grover. “The exhibition will be immersive and will show the characteristics that these two timeframes share in common.” Highlights of the exhibition include a site-specific plywood sculpture by Kevin Bielicki and six video installations. New this year, the Award Winners exhibition will travel to two venues, including CAMP Rehoboth, Rehoboth Beach; and Cab Calloway School of the Arts, Wilmington. Each location will host a modified version of the Award Winners exhibition.